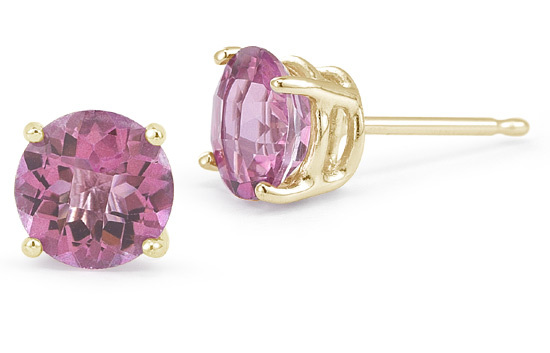 Pink Topaz gemstone stud earrings in 14k solid yellow gold basket settings. Our genuine, natural gemstones are hand-selected and of the finest quality (AAA Rating). We guarantee our Pink Topaz Stud Earrings, 14K Yellow Gold to be high quality, authentic jewelry, as described above.